Both sides would quickly be sobered. Under pressure from President Lincoln and others to deliver a decisive Union victory, Gen. Irvin McDowell led a force of 35,000 Northern volunteers on a march toward Richmond in mid-July 1861. The green soldiers, however, would make it only as far as Bull Run—just north of a key railroad link at Manassas Jun Junction, Virginia—before Confederate resistance and a series of Union blunders sent the Federal Army stumbling home in retreat on July 21, 1861. The First Battle of Manassas, as it would come to be known in the South (the North dubbed it the First Battle of Bull Run), was a wake-up call for an overconfident Union. Yet the Confederate Army, exhausted by the intense battle, was unable to press on to Washington. Each side dug in for what would become a four-year war. Touring the “Road to First Manassas” offers curious visitors today an opportunity to trace the lead-up to the war’s first significant battle. 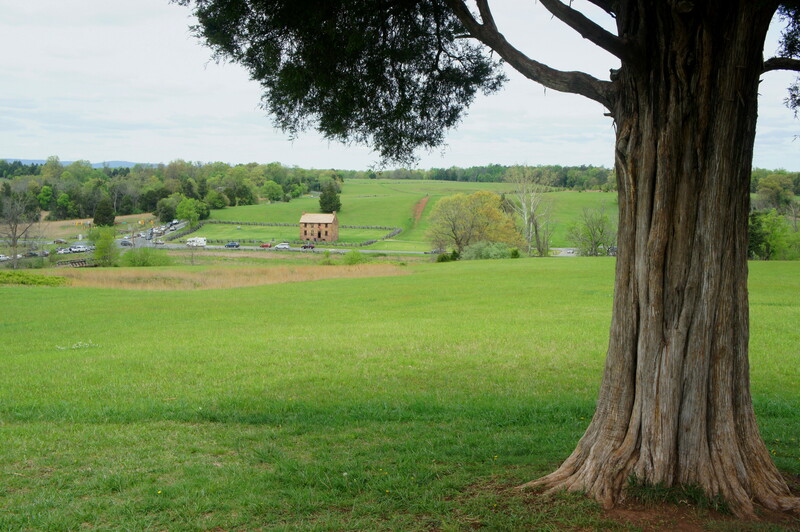 This two-day driving route covers the period of May-July 1861, starting in Alexandria, Virginia and ending at Manassas National Battlefield Park, where a series of hiking trails crisscross the former fields of fire. This post covers all the key stops, including a handful of museums, preserved forts, and the sites of several skirmishes in May-Jun 1861. 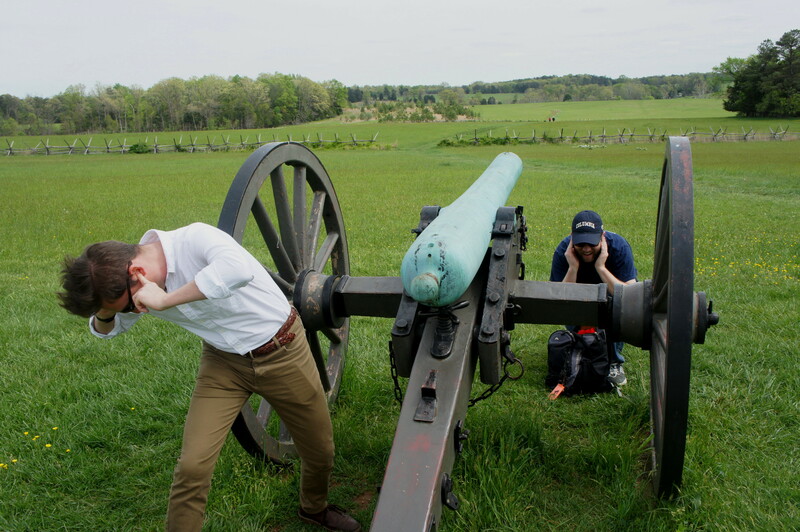 Plan to spend the whole first day covering the lead-up to Manassas, then devote the second to exploring the battlefield itself and its five hiking trails. Day 1 is a busy day, and you will have to contend with notorious DC area traffic, so get an early start. 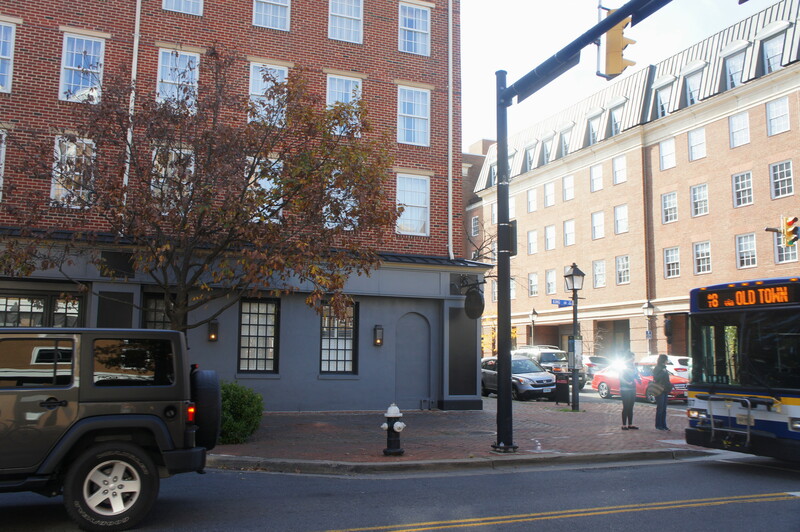 The tour begins in Old Town Alexandria, a picturesque colonial town that was abandoned by Confederate soldiers early in the war and occupied by Union forces on May 24, 1861. It was here at the Marshall House—now the site of The Alexandrian hotel—that the Federals experienced their first casualty: on May 24, facing incoming Union troops who threatened to take down his Confederate flag, the innkeeper at the Marshall House shot and killed US Army Col. Elmer Ellsworth, the commander of the 11th New York Fire Zouaves and a friend of President Lincoln. The innkeeper, James W. Jackson, was subsequently quickly killed himself by Ellsworth’s men. Up until very recently, there was a plaque on the wall of the Alexandrian that glorified not Ellsworth but Jackson, dubbing him the “first martyr to the cause of Southern independence.” Curiously, it has recently been removed as the hotel changed management. Note: Allot 5 minutes to explore this site. 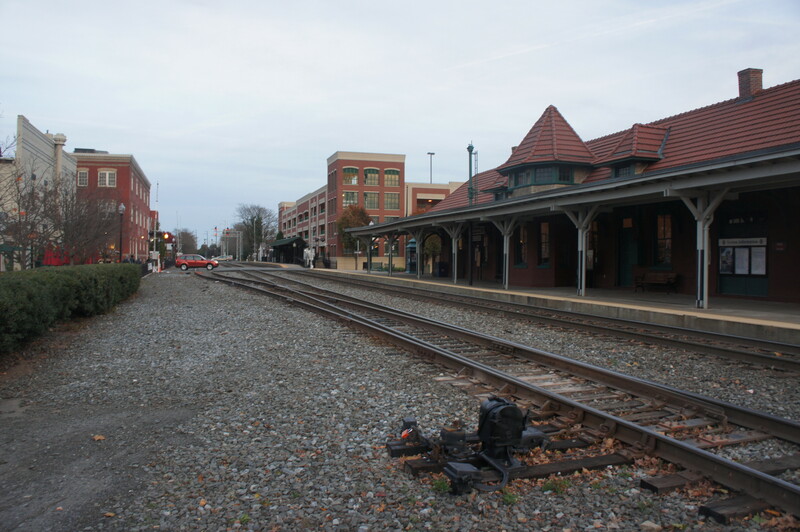 The second stop, situated a mile up King Street at the Alexandria Amtrak station, features the first of several “Civil War Trails” signs, this one dedicated to telling the story of Alexandria during the war. The city was ruled as a military district, the longest occupied territory of the war. There is an unmarked monument at Amtrak station, with a clear view of the 333-foot George Washington Masonic National Memorial to the northwest. Note: Allot 5 minutes for this site, which is little more than a sign and a view. 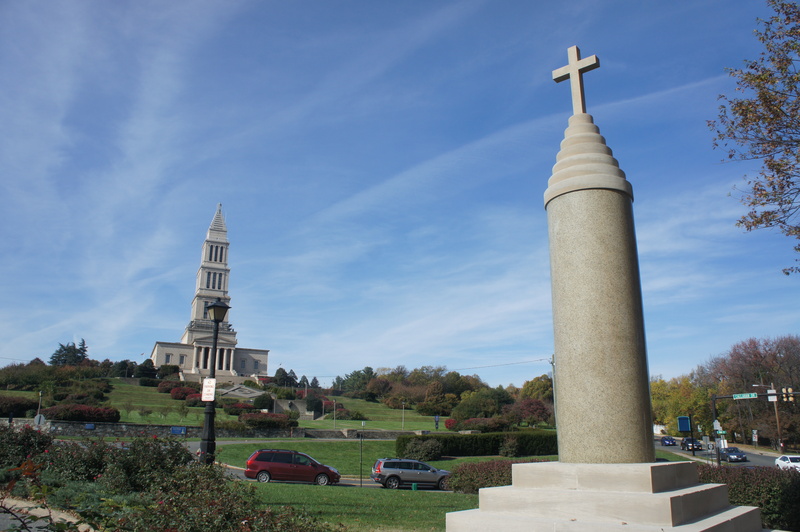 Next drive up Shooter’s Hill to the base of the George Washington Masonic National Memorial for a splendid panoramic view of Alexandria. The 44th New York Volunteer Infantry, known as the “Ellsworth Avengers,” camped at this site during the occupation of Alexandria. 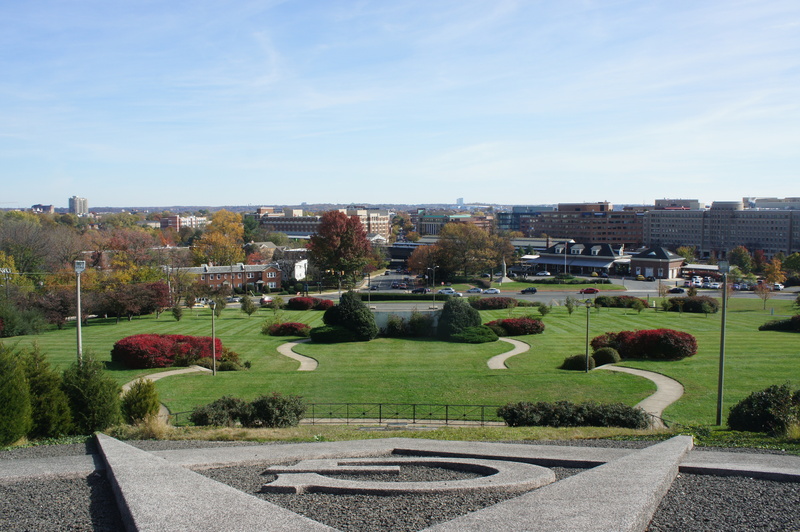 The city looks far different today than it did in the 1860s, but many historic buildings still remain, and the greenery of George Washington Memorial Park preserves the vista. Note: Allot 5-10 minutes to explore this site, more if you plan to visit the Masonic museum. Leaving Old Town Alexandria behind, it is a 10-minute drive to Fort Ward, a beautifully-preserved earthen fort that was built by Union forces to protect Washington, DC. The fort never saw fighting during the war, but it did experience a flurry of activity, undergoing a series of expansions between 1861 and 1865. By 1863, the fort perimeter surpassed 800 yards and boasted room for 36 guns. More than 90 percent of the earthworks remain intact today, encompassed in the 45-acre Fort Ward Park. The Northwest Bastion has been reconstructed with a handful of cannons, and the Fort Ward Museum, open Tuesday-Sunday, features a 4,000-object rotating collection of maps, weapons, and trinkets from the time period. Note: Allot 45 minutes-1 hour to explore the grounds and museum. By around mid-morning, you should be on your way out of Alexandria and heading toward suburban Fairfax. 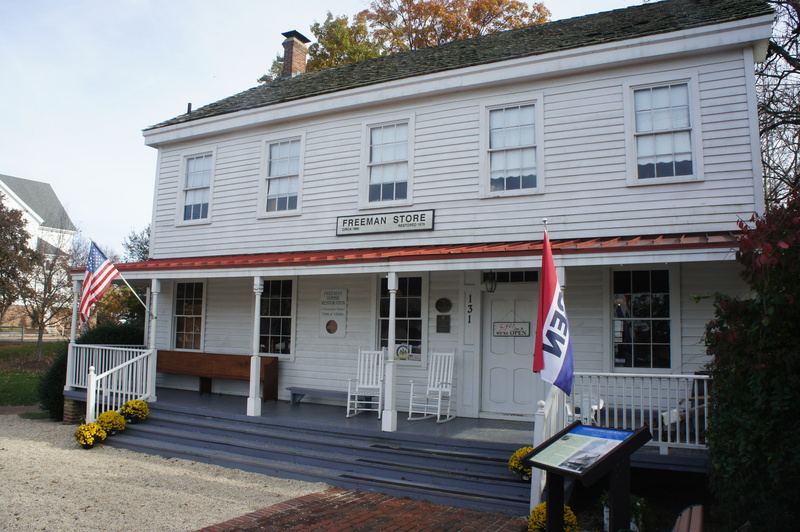 Here the small Fairfax Museum and Visitor Center offers a handful of exhibits on the city’s history, including an admittedly sparse section of the Civil War. This is a good point to pick up the story in the spring of 1861, however, when Union forces were gradually fanning out across northern Virginia to weed out Confederate positions. In the pre-dawn hours of June 1, a Union scouting party surprised a local militia positioned at nearby Fairfax Court House, fighting the small Confederate force to a draw in one of the first skirmishes of the war. Each side lost a soldier each, including the Confederate militia leader: Capt. John Marr. Note: Allot 20-30 minutes for this site. From the Fairfax Museum, make your way up Main Street to the site of the old Fairfax Court House (situated next to the new Court House). It was on this hill that the skirmish took place. 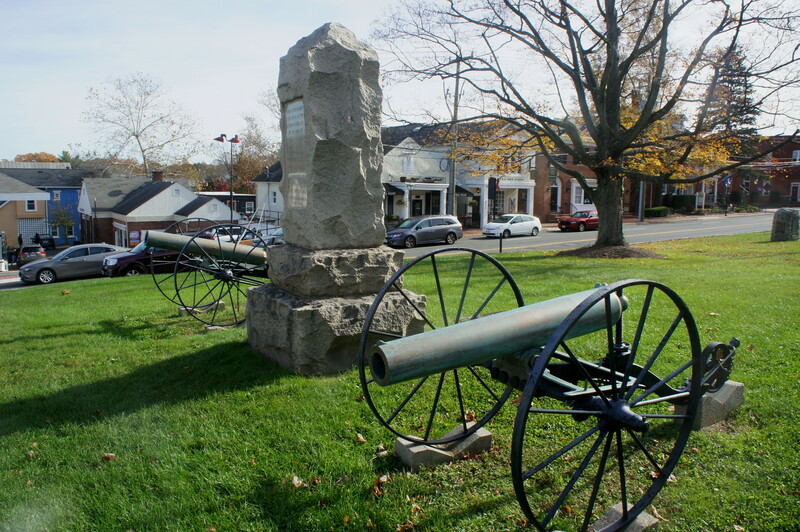 There is a stone monument dedicated to Captain Marr, as well as a pair of small cannons and a Civil War Trails sign. Fairfax Court House changed hands twice in 1861: on July 17, Gen. Irvin McDowell’s troops seized the city; by July 22, as Union forces retreated from the Battle of Manassas, it returned to Confederate control. Note: Allot 10 minutes to explore this site. Free parking is available two blocks east at the corner of Main Street and East Street. Two weeks after the skirmish at Fairfax Court House, Union forces fell into an ambush in the nearby town of Vienna as Brig. Gen. Robert Schenck was transporting the 1st Ohio Infantry along the Loudoun & Hampshire Railroad. As Confederate Col. Maxcy Gregg’s troops heard the railroad whistle in the distance, they moved forces into positions and surprised the incoming Federals, incurring several casualties before Schenck’s troops were able to retreat on foot. While the Freeman Store and Museum is light on Civil War history, a Civil War Trails sign out front tells the story of this skirmish. Note: Allot 10-20 minutes for this site. Note: Allot 10-15 minutes to walk the short trail and explore this site. 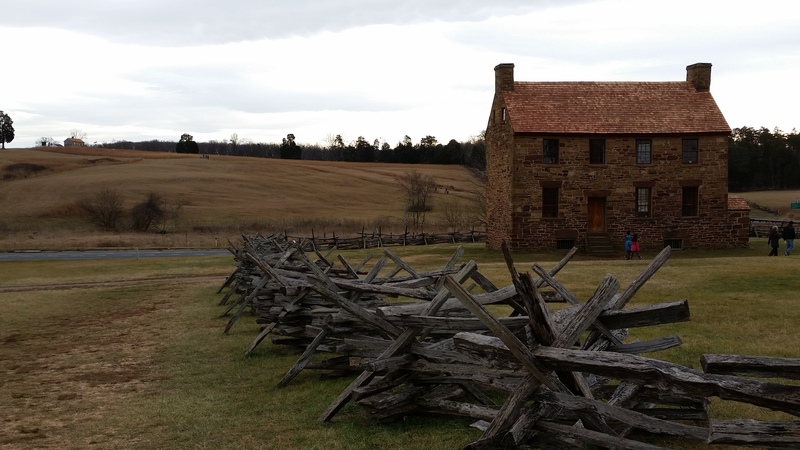 From here, the story of the First Battle of Manassas picks up in earnest. Make your west along Interstate 66, roughly following the route taken by advancing Union forces in mid-July 1861. Facing mounting pressure in Washington to capture Richmond, Gen. Irwin McDowell and his hastily-assembled army of 35,000 men set out from Washington on July 16. The green troops advanced slowly, stopping frequently to clear the road, loot abandoned Confederate positions, and pick blackberries. The force reached Centreville on July 18, passing the Old Stone Church, which would later be used as a field hospital during the battle. Today, the church has changed names—now the Church of the Ascension—but the historic structure remains. Look for a Civil War Trails sign on the site. As the Federals advanced west toward Manassas, Confederate Gen. P.G.T Beauregard reinforced southern positions along the banks of Bull Run, a woody creek that would serve as the frontier of battle. On the morning of July 18, McDowell sent Brig. Gen. Daniel Tyler’s First Division south from Centreville to Blackburn’s Ford, where he was instructed to feel out the Confederate defenses. An intrepid Tyler, confident that he could press the offensive, disobeyed orders and directed his infantry to cross Bull Run – only to meet a barrage of fire from Confederate soldiers, hidden in the woods on the opposite bank. The brief Battle of Blackburn’s Ford forced Tyler’s division to retreat and cost the lives of 85 of his men. 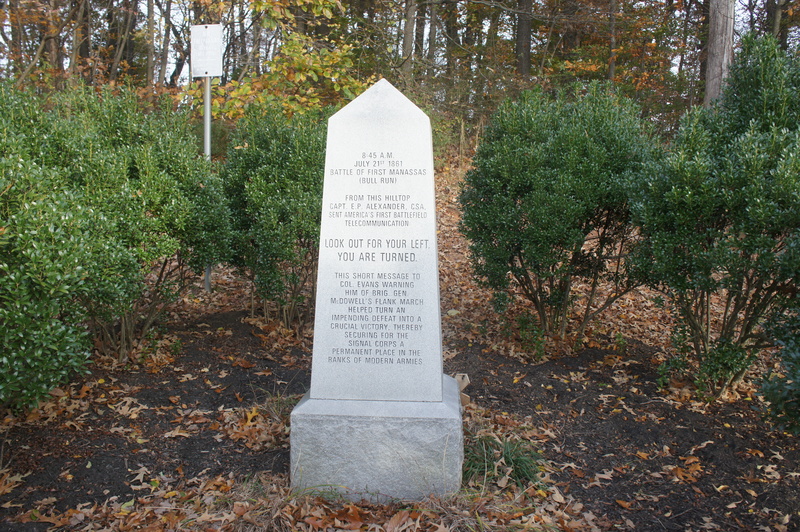 Today, the site of the battle is situated within Bull Run Regional Park; look for a gravel turnoff off to the right, just before Centreville Road (Route 28) crosses Bull Run. 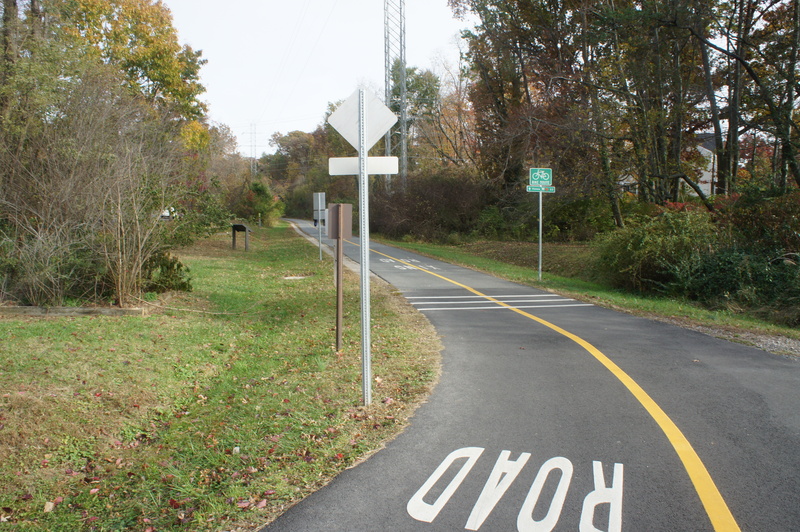 A small parking area offers access to the creek and the Bull Run-Occoquan Trail, a scenic track which follows the stream for roughly 20 miles—an endeavor for another day. Just under a mile south of Blackburn’s Ford, Gen. Beauregard took up his headquarters here at the home of local farmer Wilmer McLean. Although the farm was ravaged in the Battle of Manassas, McLean would again come to play a cameo role in the Civil War five years later: on April 9, 1865, the Confederates former surrendered to Union Gen. Ulysses S. Grant at McLean’s new home in Appomattox Court House. 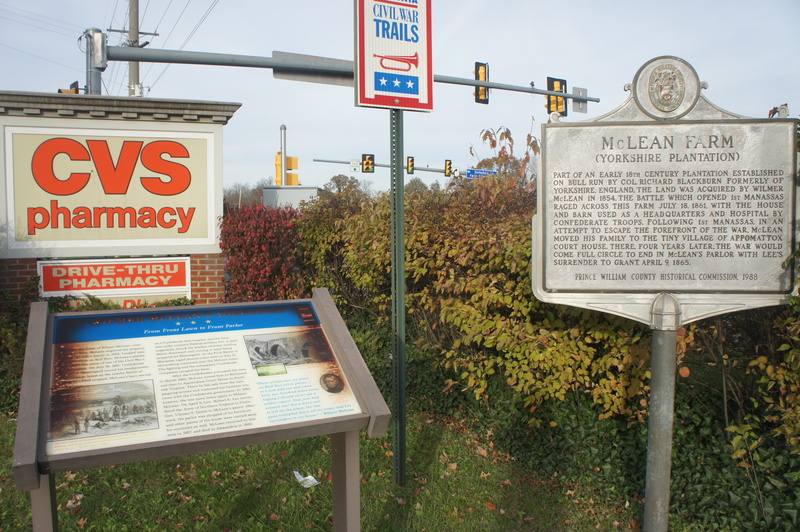 Today, the former site of McLean Farm, marked by a Civil War Trails sign, is tucked away in the back of a CVS parking lot. After the Battle of Blackburn’s Ford, Gen. Beauregard believed that the Union forces would attempt to cross Bull Run at nearby Mitchell’s Ford, just upstream to the southwest. Accordingly, Confederate reinforcements flooded the area. On the eve of battle, however, McDowell’s forces were actually preparing to attack much farther north, aiming to surprise Beauregard’s troops by crossing at Sudley Springs on July 21 and outflanking the Confederate left. While there are no markers today at Mitchell’s Ford, look for a Civil War Trails sign and wayside exhibit just inside the entrance to the parking lot at Yorkshire Elementary School. “Look out for your left, you are turned.” As McDowell’s forces were preparing to cross Bull Run, Confederate Col. Nathan G. Evans received this message from Capt. E. Porter Alexander, a flag-waving signalman, on the morning of July 21. The warning probably saved Manassas from Union capture: Alexander spotted McDowell’s forces sneaking around the Confederate left, making way for the ford at Sudley Springs. Upon hearing the message, Evans would sprang into action, moving the majority of his brigade northwest from its defensive position at Stone Bridge to meet the Federals as they crossed Bull Run. McDowell initially caught the Confederates off-guard, but he had now lost the element of surprise. The importance of Capt. Porter’s message is captured today in a monument atop Signal Hill, a now wooded knoll to the east of Manassas. Look for the site across Signal View Drive from the Signal Bay Waterpark. This stop offers a chance to get out and stretch your legs on a short hike around a former Confederate fortification. Mayfield Fort, constructed in spring 1861, was part of a system of defenses intended to protect Manassas Junction, a critical node on the railroad connecting Washington and Richmond. A partly paved, 6/10-mile stem-and-loop trail crisscrosses the earthworks, with the highlight being an elevated view of the surrounding countryside. 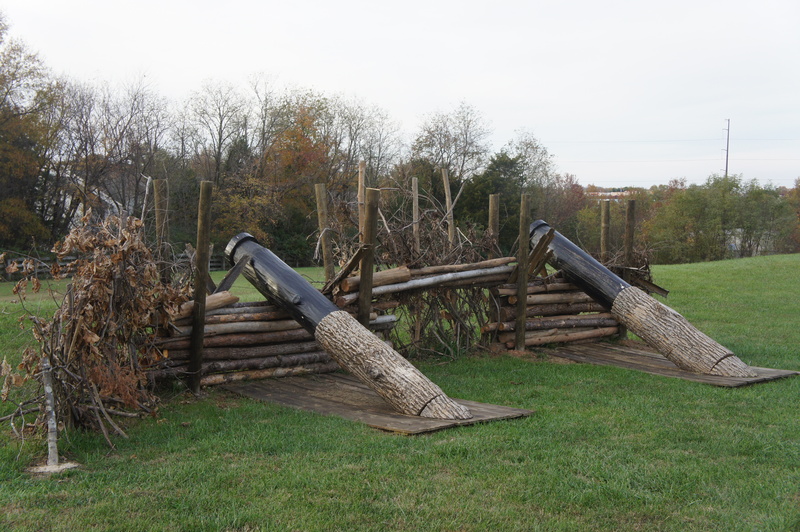 Be sure to see the two “Quaker gun” reproductions, fake cannons used frequently by the Confederates to fool the Federals. Note: Allot 30-45 minutes for this brief hike, which features several interpretive signs. Note: Allot 30-45 minutes to explore the museum and bookstore. 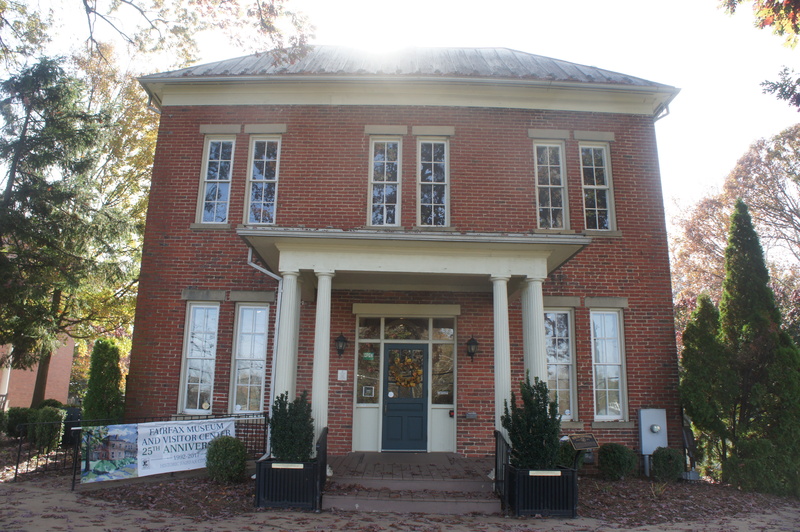 The Manassas Museum is only a stone’s throw away from central Manassas, inviting visitors to take a stroll around this quaint downtown area. 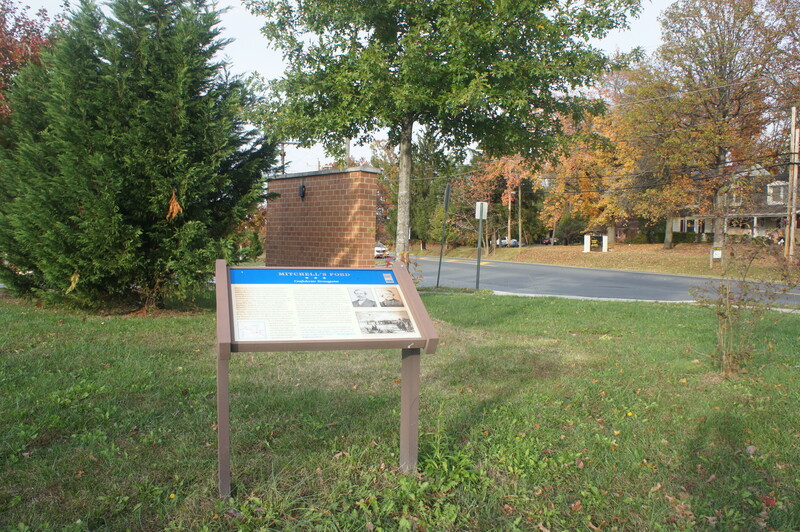 There are several Civil War Trails signs, which tell the story of Manassas during the war. One of the most interesting anecdotes comes from July 16, 1861, when Gen. Beauregard received a coded message from Confederate spy Rose O’Neal Greenhow, who relayed from Washington that McDowell planned to send 35,000 men to march on Manassas. This piece of intelligence was critical in persuading President Jefferson Davis to reinforce Beauregard’s troops along Bull Run. Note: Allot 45 minutes-1 hour to walk around Manassas. It will likely be evening by now; if you still have time, press ahead to Stop 18. If the sun is setting, save it for the next morning. On July 21, as the battle was underway, elements of Brig. Gen. Thomas “Stonewall” Jackson’s brigade converted Ben Lomond Manor (also known as the Pringle house) into a Confederate field hospital. Owned by prosperous planter Benjamin Tasker Chinn, Ben Lomond Manor saw a significant decline due to the war, eventually forcing Chinn to sell the property and move to Washington, DC in 1870. Visitors to Ben Lomond Historic Site can now explore the house and former plantation grounds for $5; tours are offered from May-October but only on Thursday-Monday between 11am and 4pm. Note: If you are taking the tour, allot 45 minutes-1 hour to explore this site. Because of the restrictive hours, however, it makes sense to skip this site or simply drive by for a quick peek before moving on. After covering the lead-up to battle in day 1, the second day of the tour is devoted entirely to the events of July 21, 1861. 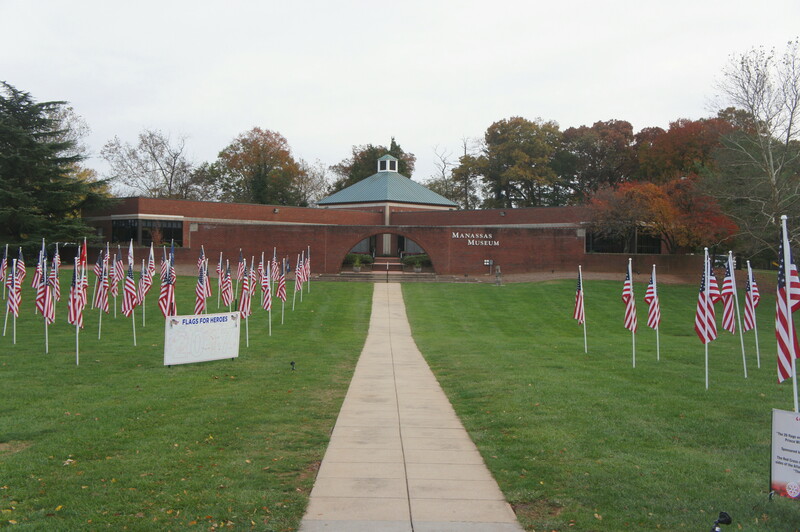 Most visitors to Manassas National Battlefield Park begin at the Henry Hill Visitor Center, which offers extensive exhibits, including audio and video, on both the First and Second Battles of Manassas. The Visitor Center sits atop Henry Hill, site of the culminating engagements on July 21, 1861 and an excellent vantage point for observing the fields of battle. Here you will be faced with a choice of options for the day. 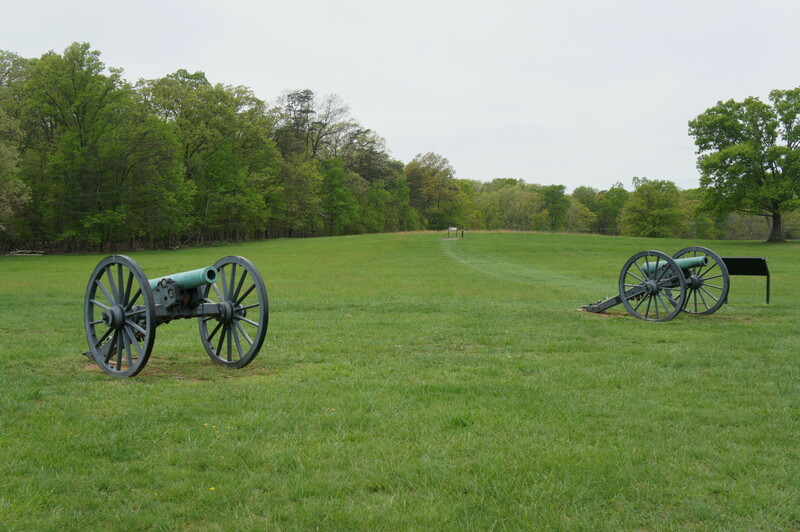 The first is to hike the 5.4-mile First Manassas Trail, which begins and ends at the Visitor Center and connects most of the major sites of interest by foot. The second is to drive between the sites, which allows visitors to see each spot in chronological order, starting with Sudley Springs and ending back here at Henry Hill. On July 19, 1861—two days before the battle—Gen. McDowell dispatched the Union Army’s chief engineer, John G. Barnard, to identify a suitable place for thousands of Federal soldiers, horses, and artillery to cross Bull Run undetected. 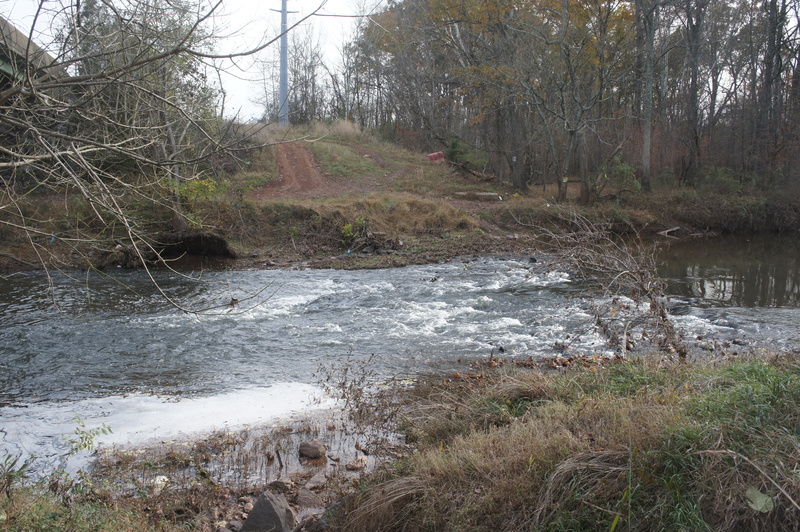 Barnard found such a spot at Sudley Ford, well upstream of the Confederate positions near the sleepy town of Sudley Springs. Two days later, Gen. McDowell sent two divisions (roughly 13,000 troops) to cross Sudley Ford, the move that kicked off the Civil War’s first major engagement. 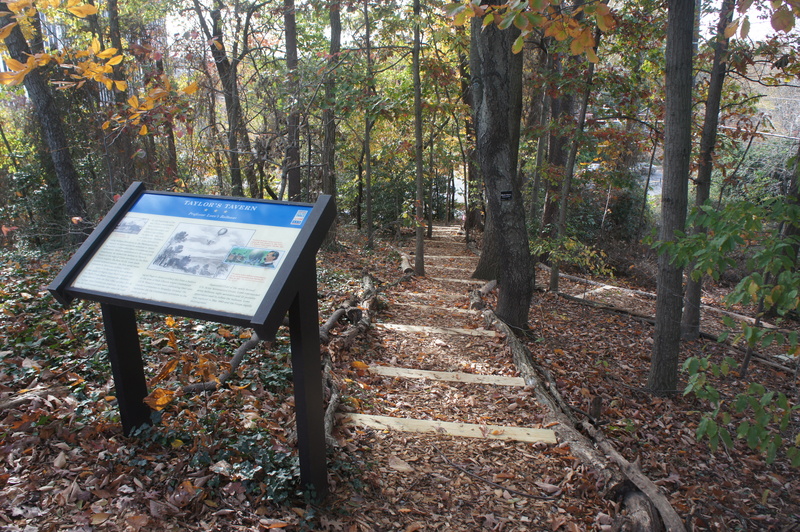 While Sudley Ford is on private property, the 6/10-mile Sudley Loop Trail, one of five hiking trails that trace the First Battle of Manassas, explores the area just south of the crossing. Note: Allot 45 minutes-1 hour to explore this site. See my post on May 14, 2017 for a full trail description. 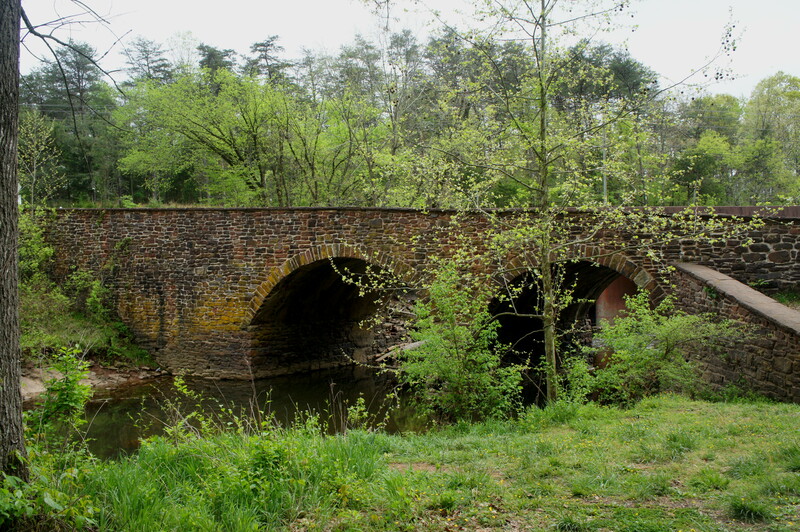 At the time of the war, Stone Bridge offered the only road crossing of Bull Run in the area. As such, it was guarded by Col. Nathan “Shanks” Evans’ 7th Brigade, which formed the extreme left of the Confederate defenses. On the morning of July 21, McDowell sent Brig. Gen. Tyler’s division to confront Evans’ force at the bridge, inaugurating the Battle of Manassas with an initial volley of artillery fire at around 6 am. But the attack was simply a feint, intended to disguise McDowell’s far larger movement of two divisions at Sudley Ford. 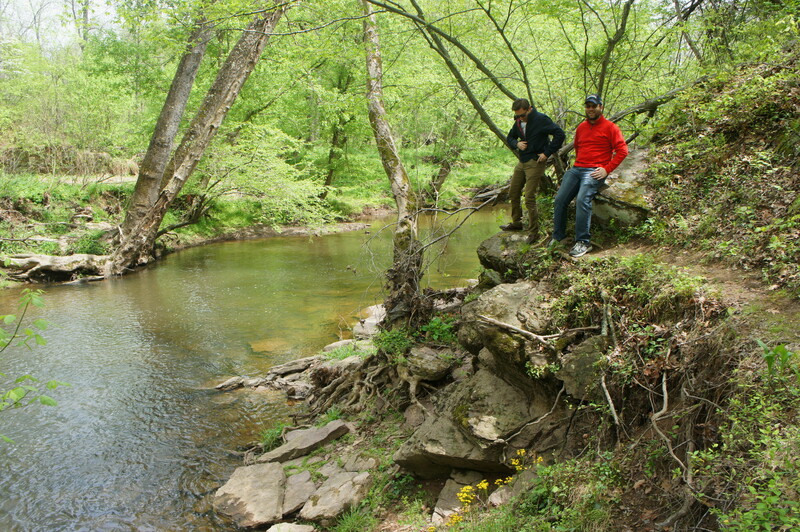 A popular, 1.6-mile hike crosses Stone Bridge (a reconstruction of the old causeway), parallels Bull Run, and then traces a circuit around the hillside where Col. Evans’ brigade was positioned. It also passes Farm Ford, where a certain Col. William Tecumseh Sherman would guide his brigade across Bull Run on the morning of July 21. Note: Allot 1.5-2 hours to explore this site and hike the 1.6-mile trail. See my post on May 27, 2017 for a full trail description. By now, it will likely be around lunch time. By mid-morning on July 21, Capt. Alexander’s message had warned Evans that Tyler’s artillery barrage was merely a feint, and Evans had moved around 900 troops to meet Col. David Hunter and Col. Samuel Heintzelman’s Union divisions—which had slowly crossed Sudley Ford—at nearby Matthews Hill. Despite being outgunned and outmanned, Evans’ troops—supplemented by two brigades led by Col. Francis Bartow and Brig. Gen. Barnard Bee—held off the Federal advance for nearly 90 minutes. The delay was critical in giving the Confederates enough time to bring additional reinforcements for the afternoon engagements. Situated off Sudley Road, the Matthews Hill parking area serves as the start and end point for the 1-mile Matthews Hill Loop Trail. This short hike dips in and out of the woods and crosses both the Union and Confederate positions during the brief but bloody battle. Note: Allot 45 minutes-1 hour to explore this site. See my post on May 27, 2017 for a full trail description. 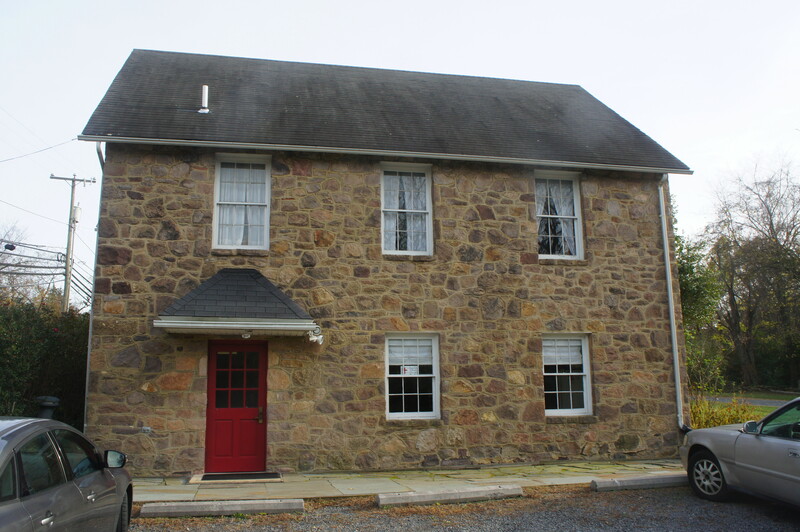 Situated in a low gully between Matthews and Henry Hills, the Stone House served as a makeshift Union field hospital during the battle. By late afternoon on July 21, the Confederates would reclaim the house and capture the wounded Federals inside. Surviving both the First and Second Battles of Manassas, the Stone House remains in remarkably good shape today, one of the few remaining structures from the time period. It is open to visitors from late spring through early fall. Note: Allot 10-15 minutes to explore this site. Drive back to the Henry Hill Visitor Center for the finale of the driving tour: a short, easy hike on the Henry Hill Loop Trail. (Note: If you have time and energy for only one hiking trail on this trip, this is the one to do.) The path circles the key battlefield on July 21, where Confederate reinforcements—led by “Stonewall” Jackson, who would earn his moniker here—won a surprise victory and forced McDowell’s beleaguered forces into retreat. 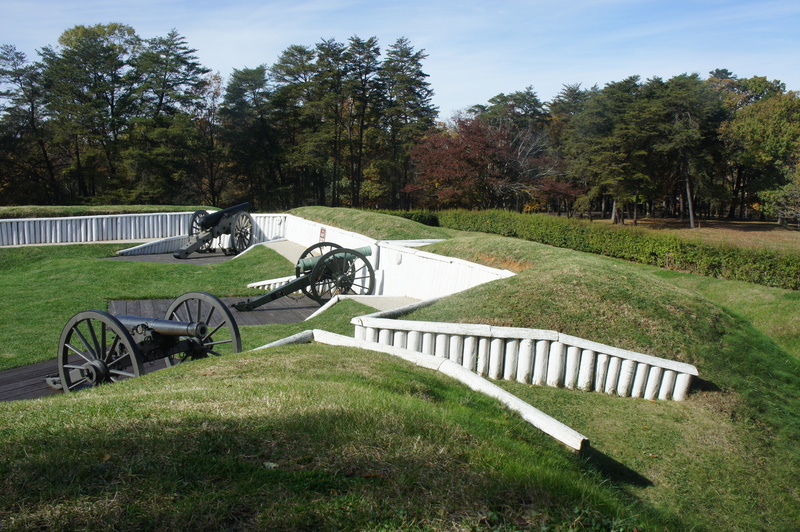 A series of Union mishaps, including delays at Matthews Hill, allowed the Confederates to crowd Henry Hill, engaging the Federals in overwhelming artillery fire before cavalry and infantry units would ultimately force the Northern soldiers to flee. Note: Allot 1-1.5 hours to explore this site. See my post on May 27, 2017 for a full trail description. This is the official end of the two-day driving tour. The Civil War’s first major battle was a shocking defeat for President Lincoln and the Union Army, but the Confederate Army was too fatigued and too disorganized to pursue the Federals back to Washington. As summer gave way to winter, both sides would fall back into a defensive position, recruiting volunteers and shoring up their armies for an eventual return to battle. While there were some minor offensives throughout late 1861 and early 1862, the brunt of the armies would not meet again until the Peninsula Campaign of spring 1862. John J. Hennessy, The First Battle of Manassas: An End to Innocence, July 18-21, 1861 (Stackpole Books: 2015), pg. 4. Benjamin Franklin Cooling III and Walter Owen, Mr. Lincoln’s Forts: A Guide to the Civil War Defenses of Washington (Scarecrow Press: 2009), pg. 42. Hennessy, The First Battle of Manassas, pg. 7-8. 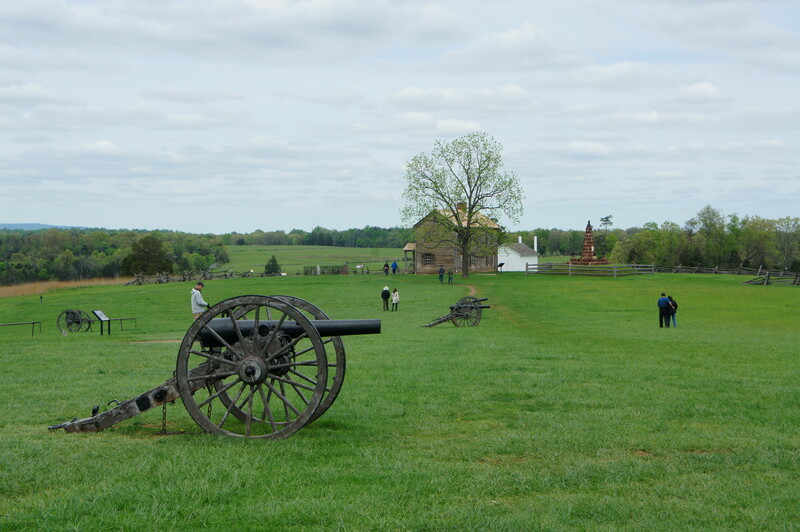 This entry was posted in Civil War, Manassas National Battlefield Park, Scenic Byways, Virginia and tagged Alexandria, Battle of Blackburn's Ford, Battle of Vienna, Ben Lomond, Blackburn's Ford, Centreville, Civil War, Fairfax, Fairfax Court House, Fairfax Museum, Falls Church, First Battle of Bull Run, First Battle of Manassas, Fort Ward, Fort Ward Park, Freeman Museum, George Washington National Masonic Memorial, Henry Hill, Henry Hill Loop Trail, historic, Manassas, Manassas National Battlefield Park, Marshall House, Matthews Hill, Matthews Hill Loop Trail, Mayfield Fort, McLean Farm, Mitchell's Ford, Old Stone Church, scenic byway, Signal Hill, Stone Bridge, Stone Bridge Loop Trail, Stone House, Sudley Ford, Sudley Loop Trail, Sudley Springs, Taylor's Tavern, Vienna, Virginia. Bookmark the permalink.